 Situated in the leafy suburb of Rosebank, the 54 on Bath hotel offers its guests a host of attractions close by, as well as further afield. Nearby attractions include sophisticated shopping malls like Sandton City, the newly refurbished Rosebank Mall, Melrose Arch and Nelson Mandela Square, with a host of shops, restaurants and cinemas. It is also in close proximity to the Gautrain rapid rail system and the Sandton Convention Centre, museums, golf courses, art galleries and theatres. O.R. Tambo International Airport is also easily accessible from our Johannesburg hotel. The Montecasino Gaming and Entertainment complex is a 16km drive away and has been voted Best Casino, Best Entertainment Complex, Best Cinema Complex and Best Place to take Out-of Towners. Life Rosepark Hospital is a member of Life Healthcare, one of the largest private hospital groups in South Africa, operating 63 acute care facilities across the country. The gardens contain an attractive mix of bunched indigenous and exotics surrounded by lawns, overlooking the 7,5-hectare Emmarentia Dam, which dates back to the turn of the century, popular with canoeists and boaters. Everard Read is Africa’s oldest commercial art gallery.